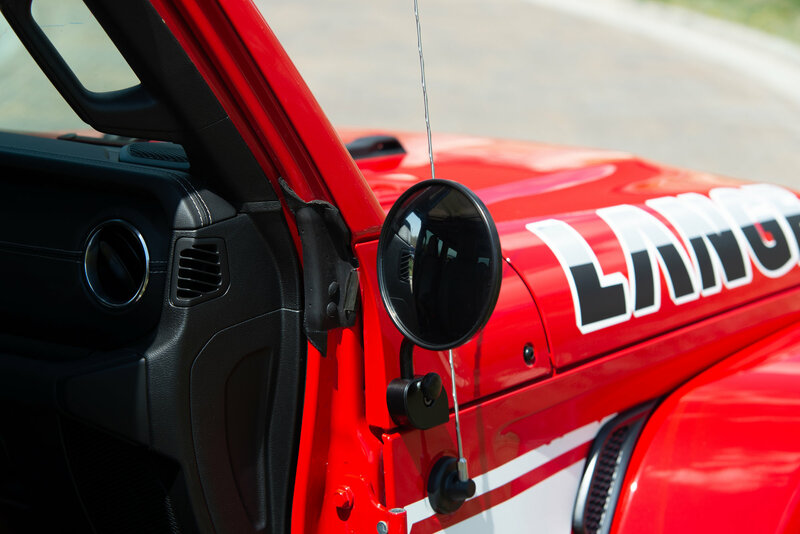 Now Wrangler JL owners can enjoy complete open air driving while remaining safe and road legal with the Coyote Mirror Pair from Lange Originals. This quick release mirror set includes the driver side and passenger side mirrors, and is specifically designed for the Wrangler JL vehicle. The Coyote Mirrors attach with a mounting block which the mirror arm and head will slide into. The block mounts to factory holes and requires no modifications for the installation. The blocks and mirror stems are constructed from solid billet aluminum and finished with a hard anodized black coating that is made to last under any weather conditions. 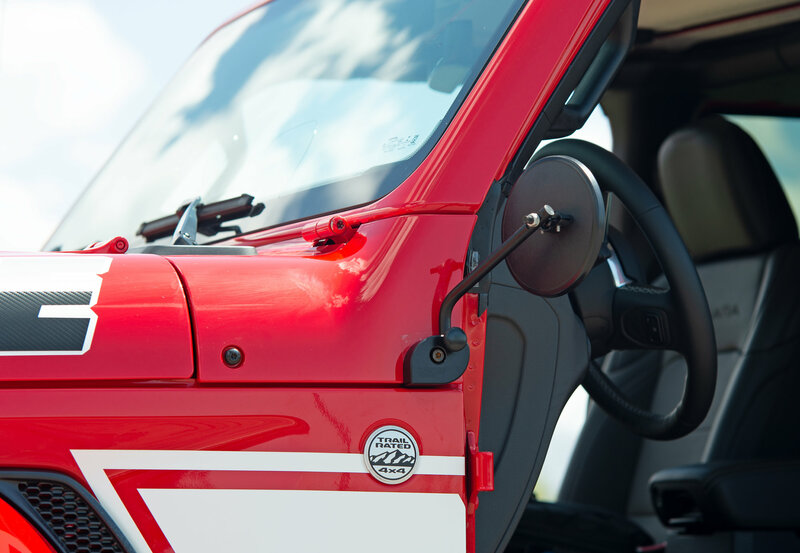 The mirror heads are durable plastic that will outlast the life of the Jeep. 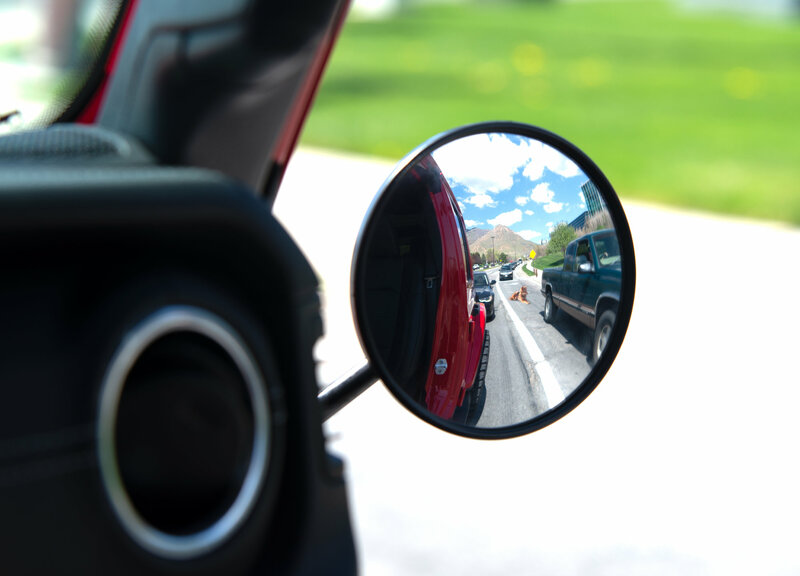 Both mirrors can be removed easily and quickly for when the doors are put back on the vehicle. Fits Wrangler JL 2 & 4 Door Jeeps. Sold in Pairs. Quickly Adaptable: The Mirrors are designed to be attached or removed quickly for transforming the Wrangler JL for the complete open air experience when the doors are off. Easy Installation: Uses factory bolts to easily attack the mounting block the the body of the Jeep. Mirrors are in perfect position to provide visibility to both mirrors. Built To Last: Mirror arms and mounting block are milled from solid billet aluminum, finished in anodized black for corrosion resistance and longevity. Mirror heads are strong hard plastic that will outlast the life of the Wrangler JL vehicle. I do not recommend these mirrors for the JL. The supplied longer bolt for the bracket is not near long enough can only get a couple threads started. The Jeep panel is plastic and the bracket is putting to much stress on the plastic jeep panel. I'm sure over time the plastic will crack from the stress from the mirror bracket and stress from the wind on the mirror head. $125.00 piece of junk. 1. Both times I had this shipped to me the way they packaged it was horrible. And parts were all over the box. The first time i was missing key components and could not make it work. Quadratec was very kind and replaced it immediately. The second time it shipped it was packed the same way put the box was inside of a bigger box so not lost peices. However I was missing the paint protection film. But I had an extra screen protector for my phone so I just cut It to size and made my own. 2. The shaft and block are aluminium but mirror is plastic. They still seem to work but for $125 I thought they would be nice seeing as you can buy 2 door hinge mounted mirros for less and be all metal. These are great. I was definitely a little skeptical at first, but they're really easy to install. All you have to do is unscrew the small panel on the hood that the bracket mounts to. The bracket is small and subtle and can stay in place with the door on. The mirrors themselves were very easy to assemble. I'd recommend having a wrench or pair of pliers on hand since hand-tightening won't do the trick for keeping the mirrors in place. I've used them at speeds upwards of 80mph and they haven't budged. Also, the fisheye mirror takes a little getting used to, but it at least provides good visibility.